Home "Conflicts of interests" A shareholder-employee conflict? I just finished reading a Finnish novel in which the main conflict is between Forest Giant (English translation), a large forest products company in Finland and its workers at a plywood plant in a small mill town. The executives at the headquarters want to improve efficiency and cut costs at the plant by investing in automation and by laying off workers—in order to cope with global competition. The tension in the novel is heightened by the fact that the young manager who is sent to assess the plant’s efficiency and to conduct the layoffs grew up in the town and knows all the workers, many of them former classmates and friends. A strong conflict makes for an interesting story—except this novel’s main conflict is based on a flawed premise: that the interests of the workers and the shareholders (represented by the managers) are fundamentally at odds. This is of course the old Marxist argument that the capitalists exploit the workers to enrich themselves: the rich get richer and the poor get poorer. This argument keeps popping up, not just in literary fiction but in the writings and statements of leftist intellectuals and the claims of anti-globalization crusaders. So let’s see why the argument is wrong. The novel’s author makes his characters blame the greed of the big corporation: its insatiable pursuit of profits. A worker, an old friend of the young manager performing the layoffs, laments: “Why did he have to go into business and to give in to market forces?”—market forces that presumably force managers maximize quarterly profits and callously lay off workers or close down plants that do not meet required returns on investment. 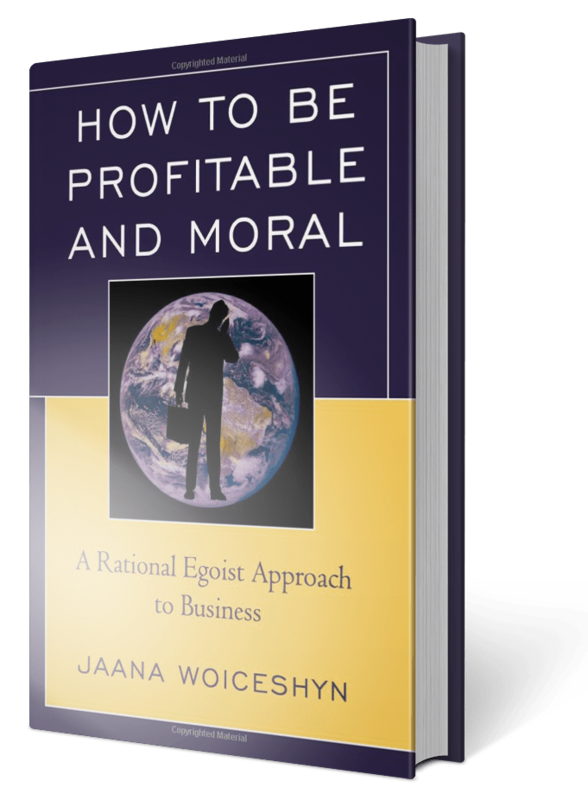 It is true that the purpose of business is to create wealth—to maximize long-term profitability. But long-term profits can be maximized only by creating value for customers: goods or services at a cost that is less than what customers are willing to pay, which requires at least comparable or superior quality to competitors’ products. Forest Giant cannot create wealth for its shareholders unless it produces plywood (and paper and other products) at a cost and quality that are competitive and allow it to remain profitable. And unless the company remains profitable, it cannot keep operating the plywood plant or any others and continue employing workers. But why couldn’t the fictional Forest Giant and other businesses aim at a nice balance: just enough profits to keep the shareholders happy but not too much, so that jobs could be saved and as many workers as possible could be employed? Why the relentless pursuit of efficiency and improved quality, and profits and share value? Competition drives the process of innovation for better, less expensive products and services from which we all benefit, such as new medicines to treat illnesses; safer, faster means of transportation; stronger, lighter, more durable materials; more nutritious, less expensive food; more effective, safer tools. If a business firm does not try to do its best in producing its products and services—such as best quality plywood at the lowest cost—other companies will outcompete it, or introduce better substitute products and take away its customers, leaving the shareholders without profits and employees without work. Losing a job can be very hard, both psychologically and financially. But I argue that the relentless pursuit of profit through creating value for customers does not exploit workers but benefits them in the long term, even when they experience a job loss now. To grasp that, the job loss has to be put in a context. First, there are no guaranteed jobs for life (if there were, companies could not survive); one has to be prepared to find new employment, which may require relocation or retraining, or both. Second, a company’s profits will not sit idle like the gold coins in Scrooge McDuck’s money vault. They will be invested into production elsewhere or distributed as dividends, which shareholders will either invest or spend. This further investment and spending means job opportunities in different industries or in various services wealth creators demand. The more wealth is created, the more new opportunities there will be, and the better everyone’s standard of living. Marx was wrong: shareholders will benefit, not from the exploitation of workers but from their motivated, productive, fairly-compensated contribution to wealth creation. It is not a win-lose but a win-win; the alleged conflict between shareholders and workers is a myth.